What do you do when your dream chases you? In an earlier post, I’ve written how I knew I would be a music teacher since middle school. I didn’t choose it, but instead it chased me. Teaching now for 10 years has been one of the most rewarding things that I’ve ever done. I’ve spent time consoling, hugging, fussing at, encouraging, singing with, teaching and learning from children. I loved it. I have fulfilled that dream. But, there are other dreams I have yet to accomplish. The greatest secret I’ve learned is: Once I had achieved one dream, I figured out that there’s more waiting for me. It reminds me of a seal. The first dream tore the envelope’s seal containing all my other dreams. 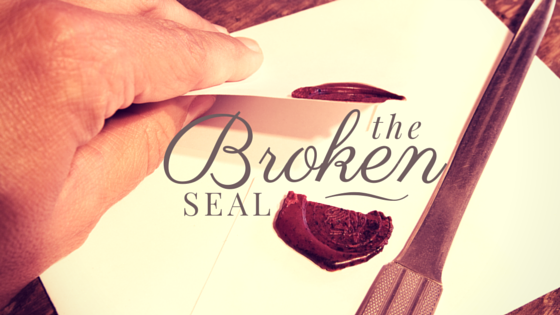 Now that the seal has been broken, some dreams have begun to escape. I’m now armed with the confidence from achieving the initial dream; now it’s time to accomplish more. The feeling is absolutely exhilarating. I’m not sure all of what’s around the corner, but I’ll have fun doing it.